From rebuilding the company's reputation in China, to making sense of the all the new tools and tech-sector talk flying around, Daniel Feiler explains why he's always been up for a challenge and how eBay fits the bill. For Daniel Feiler, taking up a comms position at eBay in 2004 felt like a sort of homecoming. The chance to return to the digital media arena with an iconic global e-commerce platform was one Feiler could not pass up, given his history as internet editor at The Jerusalem Post in 1996. "I learned so much working on The Jerusalem Post, and really fell in love with the online space," he recalls. At that time the title’s internet edition had only just been launched, which meant Feiler was in the thick of things, learning about online publishing on the fly, in one of the world’s richest news environments. "Having had that experience, plus receiving a good grounding in communications at some very traditional organisations, moving to eBay made a lot of sense. At least that’s how it feels in hindsight," he added. Given such early education in what has become the foundation of modern media and communications, Feiler’s position as eBay’s APAC communications director seems an apt fit. Responsible for both internal and external comms from Israel to New Zealand, with a focus on Asia-Pacific markets, Feiler’s role involves devising strategy to engage all parties – consumer, business, government – across eBay’s diversified business in the region. With some markets like Korea, world leaders in e-commerce, and others only just coming online, Feiler says eBay has a portfolio of businesses to make sure it is best positioned in APAC to take advantage of the opportunities. And he is in charge of handling PR for all of them. That encompasses businesses on eBay’s global platform and that use the brand; those outside of the platform utilising alternate brands; and a range of partnerships in the region. It’s a huge ask for a small team, but Feiler tells PRWeek Asia he has always been up for a challenge. "APAC is a fast growing region for eBay – with huge potential. Prioritising is always a challenge with limited resources – but I am thankful that I have great people working for me in our core markets," he says. "That challenge is more internal than external, in that we often have to remind our global colleagues about the portfolio nature of the APAC business because they are obviously focused on their own regions/local markets," he adds. "Within APAC it’s less of a challenge because what we focus on is finding strong local approaches to the global strategy and priorities. " Feiler is no stranger to tough assignments. Before joining eBay and after eventually deciding that journalism wasn’t for him, he earned his comms stripes in two notoriously tough sectors for PR practitioners: oil and gas (for Caltex Australia) and food and agriculture (for Meat & Livestock Australia). While the two industries may be extremely different, Feiler says his experience in crisis management at Caltex and MLA was one of the reasons eBay hired him. "At that time, e-commerce was on the cusp of massive growth in Australia," he explains. "However, there was still a lot of scepticism among consumers about the safety of online shopping, fuelled by some scaremongering in the media. "In the oil industry you handle some really tough issues – and I think eBay wanted someone with that background who could bring more disciplined issues and reputation management into the new economy." 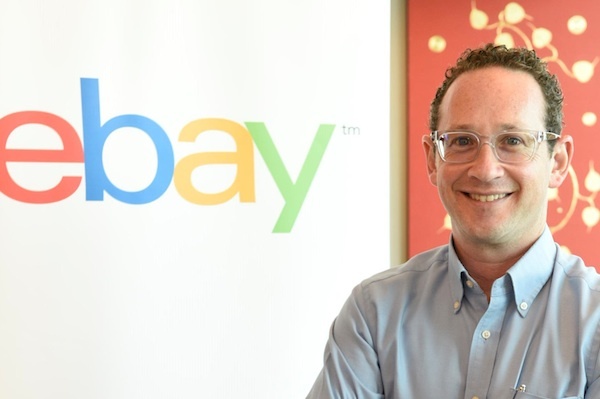 For himself, Feiler adds that being able to reflect on the issues he faced in his previous roles gives him a healthy dose of perspective working for eBay. "While we have the odd crisis in the e-commerce space, it simply cannot compare to the potential impact that can happen in the oil sector – especially in terms of environmental and health issues." For eBay in Asia, to date there has been no larger reputation crisis than that which the company faced in China, where in a short space of time its presence in the online shopping space was devoured by Alibaba’s Taobao platform. It was a story that made global headlines – a mighty US operation being shut out by a burgeoning Chinese power. Forbes didn’t pull its punches in a 2010 article titled bluntly: "How eBay failed in China". Unsurprisingly, changing this image has been one of Feiler’s top priorities since taking the APAC comms role. For Feiler, that perception of failure remains tough to take, given eBay’s big recalibration in China, which he says has been extremely successful. "eBay’s early days in China were very well publicised and from a reputation perspective it can be a tough legacy," he admits. "Reputation change is one of the toughest things we do in our profession – it takes a lot of time and effort. "Yet our story in China is a little misunderstood – we have been working hard to change it and I am delighted with the progress we have made there." Having been beaten by Taobao in the e-marketplace game, eBay refocused its efforts on retail export – helping Chinese businesses sell their products to consumers worldwide using eBay’s platform, with impressive results. "Today we are acknowledged as an industry leader and pioneer in online cross-border trade/retail exports from China," Feiler says. "We have become the go-to source for industry trends in retail exports." The brand focused on telling its success story in this area to SMEs, industry, government and yes, even media. While it may not be widely known across the consumer space, Feiler says business is very healthy for eBay in China again thanks to this nimble change in approach. "We have a great export business out of China, it is just not a domestic consumer business, so it is not well known among the average person on the street," he states. "But I think these are some of the meaty challenges that make the job worthwhile – especially when you see perceptions shifting." Is it a fine line to tread between talking up eBay’s diversification, and not making it sound like a retreat from the core business that failed in China? Feiler doesn’t think so. "I have never really thought about it like that because eBay never retreated from China," he says. "Today, the retail export business from China is extremely healthy – in fact it has become one of the bedrocks of eBay’s APAC business." It is far more than just China that demands Feiler’s attention. Across Asia-Pacific, eBay has interests in all major markets, with particular strength in Korea and Australia. With competition flowing in from all directions, and so many digital tools to choose from, Feiler says it’s a case of engaging consumers in each market in the manner most relevant to them. In China, for instance, eBay has a thriving WeChat community through which it directly engages stakeholders. In other markets with a strong consumer focus, eBay is exploring with platforms such as Snapchat. In Korea, the team has developed a multi-faceted blog connected to a range of social media platforms. "It’s only been going for six months but in that time it has far exceeded all our expectations and is effectively reaching out to multiple audiences, from customers to media and prospective employees," he says. "These tools can be effective – the proof of the pudding for us is very simple to see. Did it result in driving a customer to an eBay site and make a purchase? A lot of this is trackable – so we know what works and what doesn’t." But here is where Feiler also sounds a note of caution: the constant quest for the latest and greatest trend has, in his opinion, meant a lot of tech sector comms is now "over-hyped". "I’d love to see a study on how many ‘big tech development announcements’ are actually followed through to completion or achieve the promises that were originally claimed. I’m willing to take a punt that many of the claims made at big tech-sector launches are not actually realised," he contests. "I believe the communications function has truly earned a seat at the table of a tech sector company when they are able to push back on ‘over-hyping’." To ensure eBay stays away from the over-hype, Feiler says the brand works with a broad stable of PR agencies, both local and large networks, to get messages across APAC effectively. But even these relationships are rapidly changing as the industry goes through its part-transformation, part-identity crisis. "Agencies are all in a mad rush to position themselves as more than PR and media relations," Feiler opines. "They have gotten a whiff of marketing budgets and they want more of it. Ultimately this is just a reflection of the changing media landscape." While Feiler says he has always worked well with a mix of internal resources and agency support, he is firmly of the opinion that the best PR and communications strategies come from within a brand, with agencies providing "additional arms and legs, external counsel and some creative flair based on their broader experiences". "Agency staff cannot get the same level of insight into a company’s business priorities," he states simply. Whether internal or agency, it’s clear to Feiler that the name of the game at the moment is high quality, well presented and relevant content. These shifts in the communications world are somewhat bringing him full circle, and back to his former calling. "I don’t think that [agency-brand relationship] has really changed in the 20-odd years I have been in the game. What has changed is the channels that we are using to get our messages out," he says. "I feel like I am using more of the skills I developed as a journalist today, than at any other stage in my career as a communications professional."